MANILA- A police officer filed on Sunday a complaint against a Chinese woman who threw a cup of taho (soybean custard) at him inside an MRT station. PO1 William Cristobal of the Metro Manila Police, filed complaints for direct assault, disobedience to an agent of a person in authority and unjust vexation against Jiale Zhang at the Mandaluyong City Prosecutor’s Office. 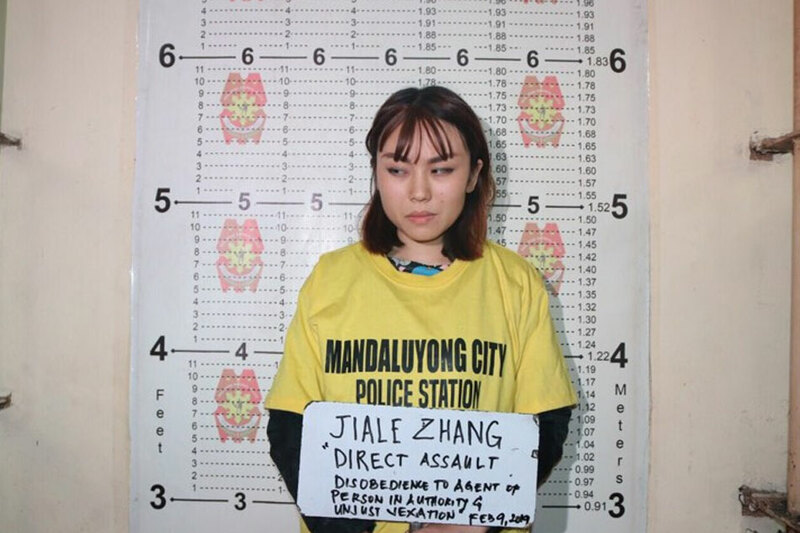 Zhang, a 23-year-old fashion design student, was arrested over the weekend after she "suddenly threw" her cup of taho at Cristobal because she was prevented from entering the platform area of the MRT Boni station because of her unconsumed beverage. The incident, which has gone viral, has drawn calls for the woman's deportation, as netizens fumed at the disrespectful act against the officer. Train stations in Metro Manila have stepped up security measures after the MRT-3 received a bomb threat last month, banning liquids inside the platforms.